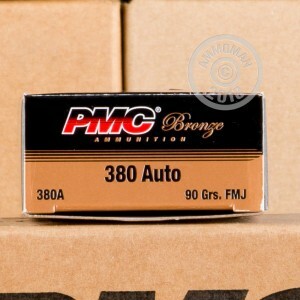 A few 50 round boxes of this 380 Auto PMC ammunition make an ideal option for target practice and range training with your semi-automatic handgun! This 380 Auto 90 Grain Full Metal Jacket ammunition is loaded in new brass cases with boxer primers, is non-corrosive and reloadable. The Full Metal Jacket cartridge contains a lead core bullet with a heavy copper jacket, resulting in minimal expansion. PMC runs all cartridges through detailed inspections which measure the propellant charge in each round. Any variance, as minimal as two-tenths of one grain, and the cartridge is discarded. These rigorous inspections ensure uniformity and reliability, making PMC a leader in the ammunition industry. 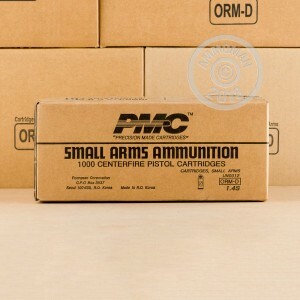 PMC prides itself on providing great quality, accuracy and dependability to its customers. They are vertically integrated, meaning they produce all components for their sporting ammunition "in-house" from start to finish. 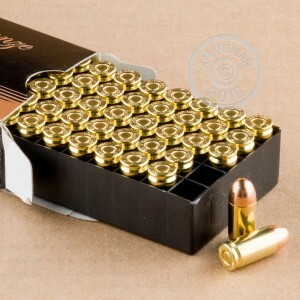 The Ammo is great ,good price. delivery could be a little faster thou. Used it for target practice. Fired as expected and has no misfires. I would recommend this for practice.